At All Around Sports Fitness LLC, you will get a variety of fitness training aspects to fit your needs. Personal training, small group training, and athletic sports performance training is available!! Because all people are different, every training client is thoroughly assessed before receiving a customized training program. Body Conditioning Workouts ONLY OFFERED TO ONE ON ONE MEMBERS! Monthly Body Fat and BMI% weigh ins with goals set for each month!! And some members have decided to continue maintaining their healthy physiques by training with Fitness Expert Shannon All Around! Don't wait! Shannon's schedule is booked extremely fast so call her and set up your 1 on 1 sessions today! Are you ready to get in shape, but don't have the motivation to workout alone? Well at ASF we offer small group personal training! This is a great way to jump start your workout routine, and it's also fun to have a friend or spouse working out with you to keep you motivated. TRY OUT 1 WORKOUT FOR ONLY $10!!! 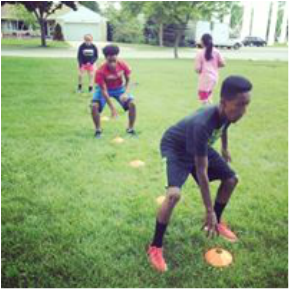 ASF LLC, offers customized sports performance training to adult and youth sports athletes looking to improve their overall strength, speed, and agility in their sport. 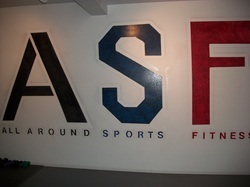 ASF athletes work hard to receive the rewarding benefits of overcoming a challenge. Success is measured in many forms, and ASF athletes are successful in reaching their goals. Contact us to set up a session on the 'contact us,' page.